I’m so delighted I could almost squeal. 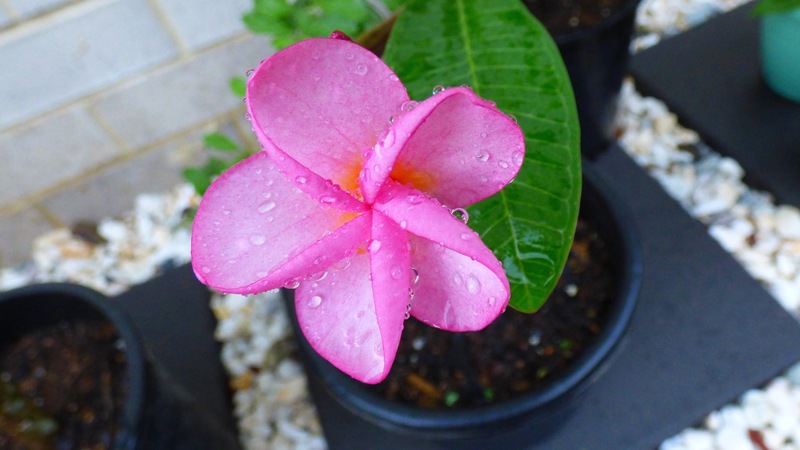 Look at the gorgeous little flower on my Watermelon Frangipani. This is one of the three cuttings I purchased when I visited Frangipani Heaven back in December. Although (I know that) frangipanis flower from summer through to autumn, at the time, I thought my cutting would need to do a lot of growing before it would bloom and, therefore, I would be waiting almost a whole year before I’d see any flowers. I’m so glad I didn’t have to wait that long. Next Post What’s Holding Me Back? How beautiful. Such an unusual colour for a frangipani .